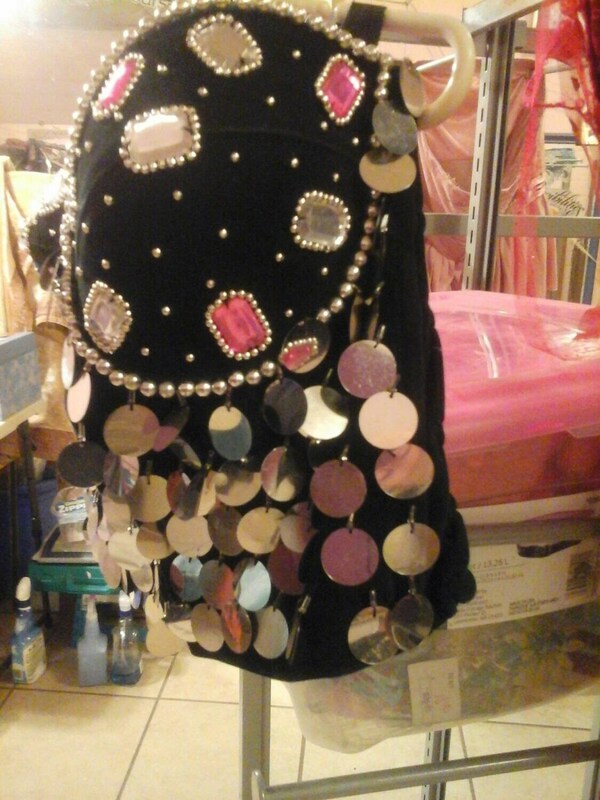 Black velvet bustier. 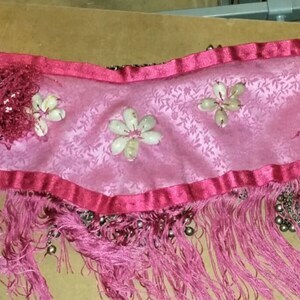 Decorated with lots of bling in pink and clear"crystals", faux pearls and pink and silver palettes. I don't really want to give this up but I've gained weight and it no longer fits. 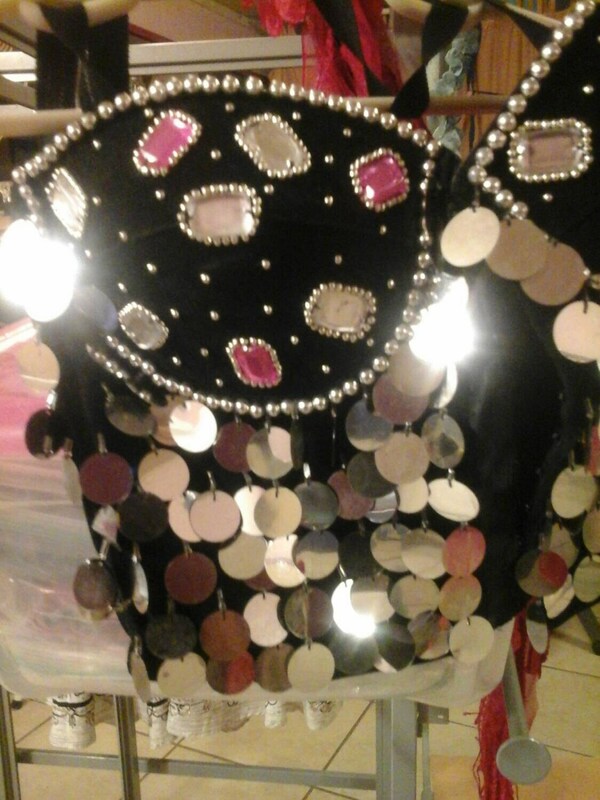 It is really pretty for bellydance, bollywood or burlesque. 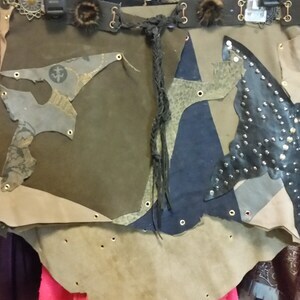 Fits XS-SM vintage 1990s. 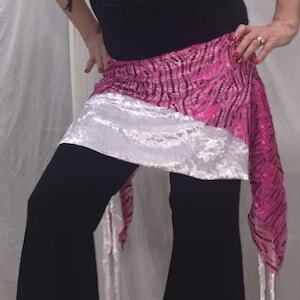 I have a pair of black sequin shorts coming up soon on my vintage site EreTodayVintage that this looks great with and I am working on a bustle of hot pink feather boas but had to set aside. Will have the whole combination posted in 2 weeks.